Here's a photo of the shoe that's being pulled from store shelves. 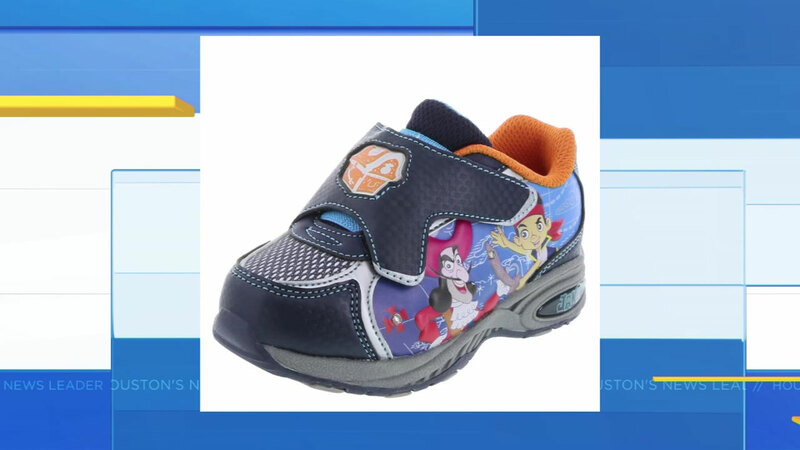 HOUSTON (KTRK) -- Payless is pulling a pair of light-up sneakers from store's shelves after a local family claims they caught fire. This is the children's shoe you need to look out for. It features the Disney character Captain Jake. The Houston-area family says they left the shoes in their SUV, and when they went back to get them, the shoes were burnt to a crisp. They believe a battery in the shoe may be to blame, but Payless says they're still investigating what happened.